This time of year has us remembering the families and friends we had the pleasure to fish with throughout the year and for that we are extremely grateful. 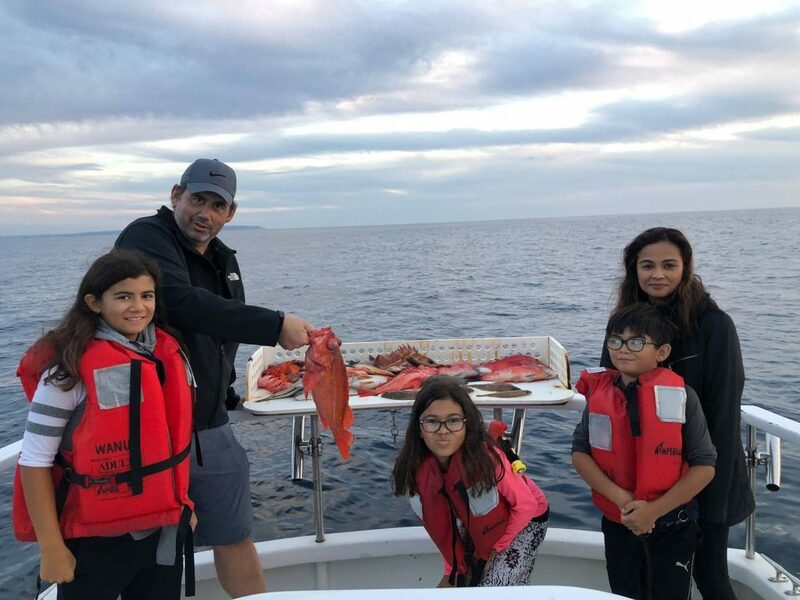 We work hard daily to ensure your short time with us exceeds expectations and we would like to express our gratitude that you chose Coletta Sportfishing for your fishing adventure. Here’s to a beautiful Thanksgiving 2018 and we look forward to fishing with you soon! Captain Brian running the Wanu and first mate Hale on the back deck on a ¾ day trip today. What started as a slow pick gradually turned into a free for all. They caught 26 rockfish (10 released), 19 whitefish, 10 salmon grouper, 5 sheephead, 2 blue rockfish, 2 sand bass (1 released) and 1 bonito. Great job everyone on catching all those fish. Fish On The Chew + Beautiful Weather = Great Family Fun! Captain Jon running the Wanu and first mate Kane on the back deck on a 1/2 day trip this afternoon. It was a fun trip with a family from San Marcos, CA. It started out slow but the current picked up and the fish went on the chew.. They caught 3 sheephead, 2 whitefish, 4 sand dabs, 18 rockfish (4 released) and 1copper rock fish. Thanks Michael for choosing Coletta Sport Fishing for your fishing adventure. It was real nice meeting you and your family on the dock today. Decent Mixed Bag Fishing Makes for A Great Day! Captain Brian running the Wanu and first mate Kane on the back deck on a ½ Day Coastal this morning. It was a decent pick on a variety of fish today. 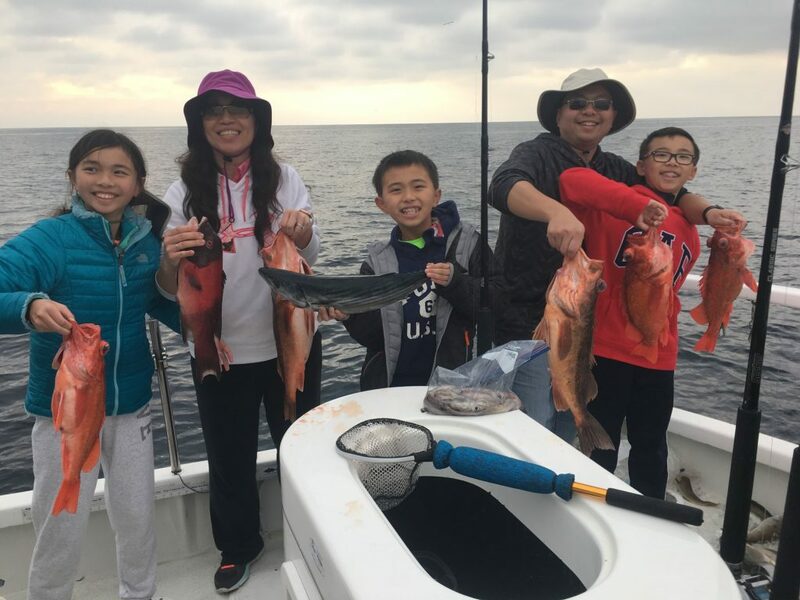 They caught 1 yellowtail, 24 rockfish (8 released), 2 salmon grouper, 1 sheephead, and 1 bonito. Thanks Michael for choosing Coletta Sport Fishing for your fishing adventure. 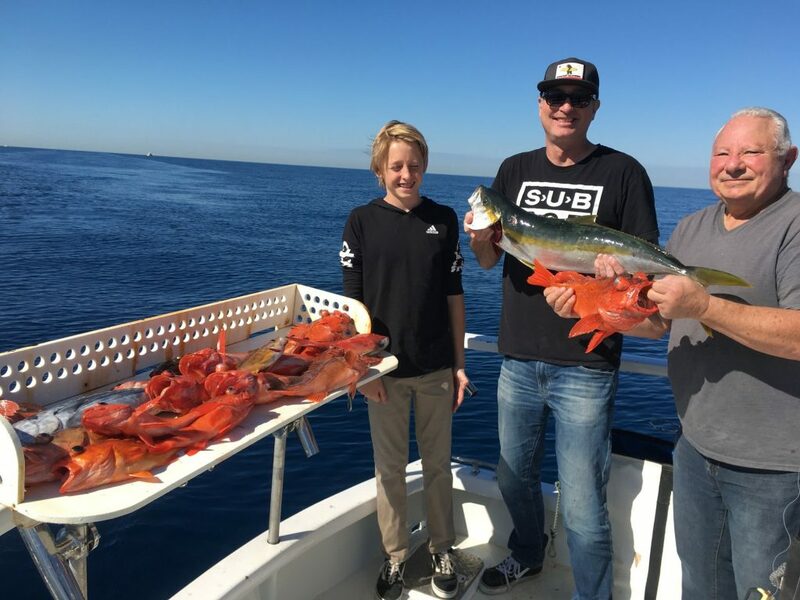 Fish On The Chew + Beautiful Weather = Fall Fishing In San Diego! Captain Brian running the Wanu and first mate Hale on the back deck on a 1/2 day trip this morning. They had a decent pick on the bottom critters today and the guys went home with a big bag of fillets. 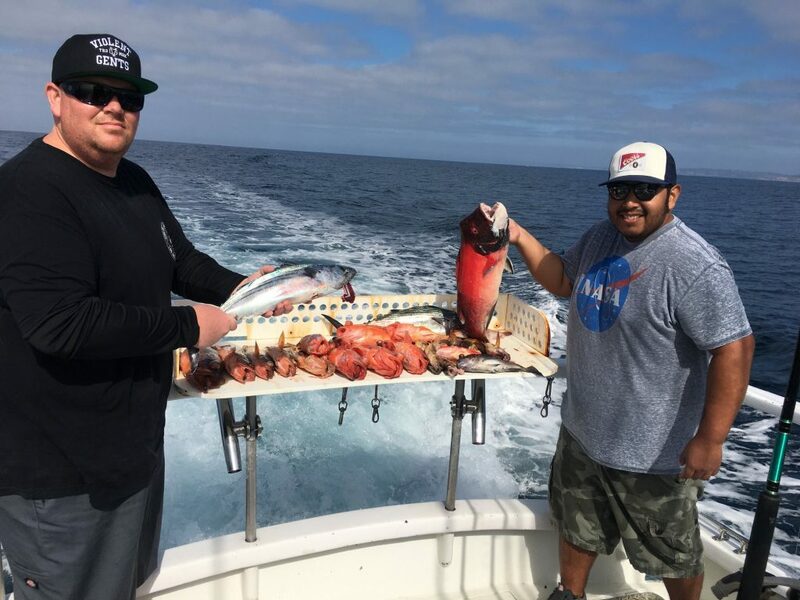 They caught 14 rockfish, 5 bocaccio, 2 bonito, 1 sheephead, 1 blue rockfish and 1 copper rockfish. Thanks Allan for choosing Coletta Sport Fishing for your fishing adventure.